Brazil is quite simply the world’s most successful soccer nation that has, as its high altar, the Maracanã stadium in Rio. Once the world’s largest stadium capable at one time of holding a crowd of up to 200,000, for the 2014 World Cup, including the final, it now seats a more modest 76,804. In 2014 Brazil hosted the 20th FIFA World Cup from 12 June to 13 July with Germany being crowned champions for the fourth time after beating Argentina one-nil in the final in the Maracanã during extra time. The tournament is considered one of the greatest World Cups of all time, if not the greatest. 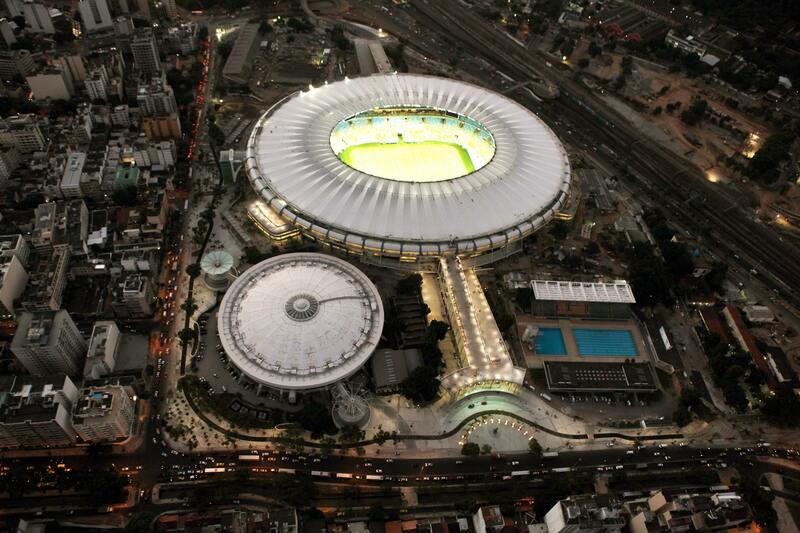 Rio and the Maracanã hosted seven World Cup games in 2014, including the final. The games in Rio were: Argentina 2 x 1 Bosnia-Herzegovina (15 June), Spain 0 x 2 Chile (18 June), Belgium 1 x 0 Russia (22 June), Ecuador 0 x 0 France (25 June), Colombia 2 x 0 Uruguay (28 June) the quarter-final between France 0 x 1 Germany (4 July), and the final, Germany 1 x 0 Argentina (Sunday, 13 July). Perhaps surprisingly, Brazil never played in Rio during the 2014 tournament. 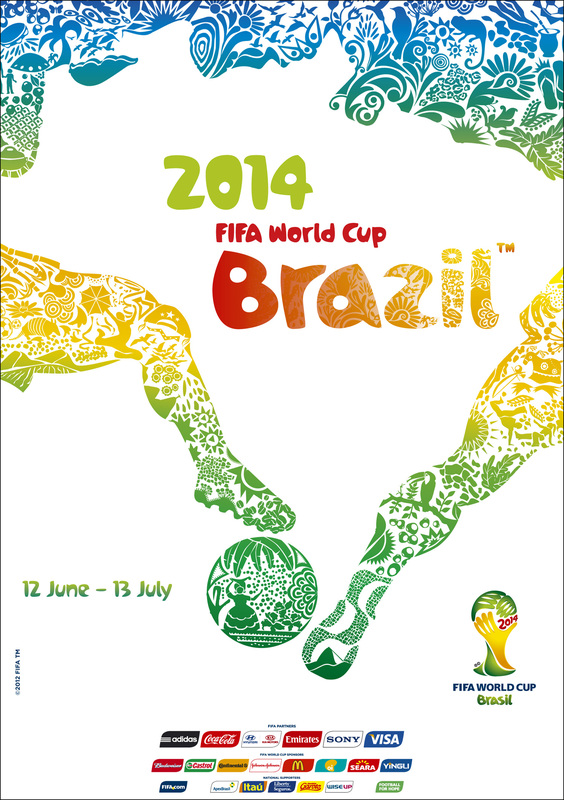 For the full story of the 2014 World Cup, including all the results, go to our sister site World Cup the Guide. Brazil did play in the Maracanã during the 2016 Olympics, winning the gold medal – the only major title the national team were missing – by defeating Germany in the final. Brazil was also the first team to qualify for the 2018 FIFA World Cup to be played in Russia. While Brazilians restrain their nationalistic tendencies for the World Cup, regional and club tendencies come to the boil every week in a display of joy that is unknown in most other soccer playing nations. Going to see a game of football in any stadium in Brazil is fun. Violence is rare between Brazilian fans, everything generally being done in good humour and visitors welcomed with open arms to join in this celebration of national passion and pride. There are two national soccer tournaments played in Brazil each year. The Brasileirão (Brazilian Championship) is played for by the country’s top 20 clubs between March and early December. The current champion (2018) is Palmeiras. The six top clubs from the championship will then go on to play other South American teams for the Copa Libertadores, while the next six top finishers in the Brasileirão play the Copa Sudamericana (South American Cup). The other national tournament is the Copa do Brasil (Brazil Cup), with the top, traditional clubs plus representatives chosen by each state, number nearly 100 teams in total. The winner of the Copa do Brasil also goes forward to play in the Copa Libertadores. The current champion of the Copa do Brasil (2018) is Cruzeiro. Brazilian winners of the Copa Libertadores include Gremio (1983, 1995, 2017), Santos (1962, 1963, 2011), São Paulo (1992, 1993, 2005), Cruzeiro (1976, 1997), Internacional (2006, 2010), Flamengo (1981), Vasco da Gama (1998), Palmeiras (1999), Corinthians (2012), and Atlético-MG (2013). A Brazilian club had been present in the Libertadores finals from 2005 to 2013. A total of nine consecutive finals. Brazilian teams won the last of those four finals. Brazilian teams to win the world club championship, played until 2004 as the Intercontinental Cup between the winner of the Copa Libertadores and the European Champions League, include Santos (1962, 1963), Flamengo (1981), Gremio (1983), and São Paulo (1992, 1993). Since 2005 it is been rebranded the FIFA Club World Cup, which has been won by São Paulo (2005), Internacional (2006) and most recently, in 2012, by Corinthians. Corinthians also won an early version of the Club World championship in 2000, when it was held in Rio de Janeiro.. Many of the best known Brazilian sides globally are from Rio de Janeiro and include Flamengo, Fluminense, Vasco da Gama and Botafogo. Other big Brazilian clubs include Corinthians, Palmeiras, São Paulo and Santos (São Paulo); Gremio and Internacional (Porto Alegre); Atletico (Curitiba); and Atletico-MG and Cruzeiro (Belo Horizonte). Botafogo, São Paulo, Flamengo, Vasco and Fluminense are the five teams that have most supplied players to the national Brazilian side for the World Cup up to and including the 2018 squad. Brazil is the only nation to have taken part in every edition of the FIFA World Cup. It won the World Cup for the fifth time during the finals held in Korea and Japan in 2002. Brazil’s other moments of glory came in Sweden in 1958, Chile in 1962, Mexico in 1970, when it won the Jules Rimet trophy outright, and the US in 1994. The country was second in 1950, when the finals were held in Brazil, and in 1998 when the tournament was played in France; third in 1938 and 1978; and fourth in 1974, and again in 2014 when it hosted the tournament. In its 1982 World Cup side that lost to Italy, it is thought that Brazil had the best and most exciting side not to win the tournament. Brazil was the first country to win the World Cup outside of its own continent (in Europe), and has now won in Europe, Asia, North and South America. In 2014 Brazil was looking for its sixth title and as host nation had the weight of expectation of over 190 million Brazilians on its shoulders. Especially having won the Confederations Cup in Brazil in 2013. Sadly it was not to be, the team coming fourth overall after being beaten by Germany 7-1 in the most one sided semi-final of all time. However Brazil has bounced back and was the first country to qualify for the 2018 World Cup in Russia, where it was knocked out in the quarter final. 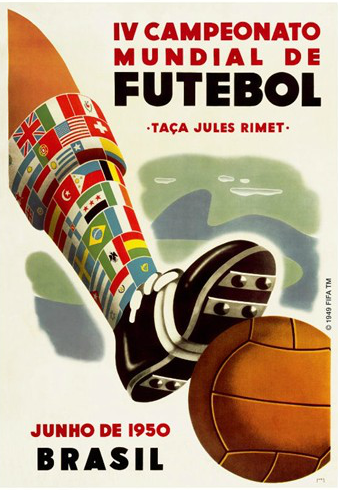 Brazil hosted the fourth World Cup in 1950, the first tournament to be played after World War II, when just 13 teams took part and the games were played in six Brazilian cities (Belo Horizonte, Curitiba, Porto Alegre, Recife, São Paulo and, of course, Rio de Janeiro, then the capital). In 2014, 32 teams played across 12 host cities, being the six cities from 1950 plus Brasilía, which did not exist in 1950, Cuiaba, Fortaleza, Manaus, Natal and Salvador. Brazil and Brazilian players hold a number of other World Cup records. As well as most wins and most times in the semi-finals, it is, along with Italy, the only country to win back-to-back World Cups. In Ronaldo it had, until the 2014 cup, the tournament’s top overall goal scorer with 15 goals over three tournaments; Pelé is the only player to win three World Cup winners’ medals; Cafu has made the most appearances in a World Cup Final, and played the most winning games in the tournament; and Mario Zagallo, along with Germany’s Franz Beckenbauer, are the only people to win the World Cup as both a player and a coach. 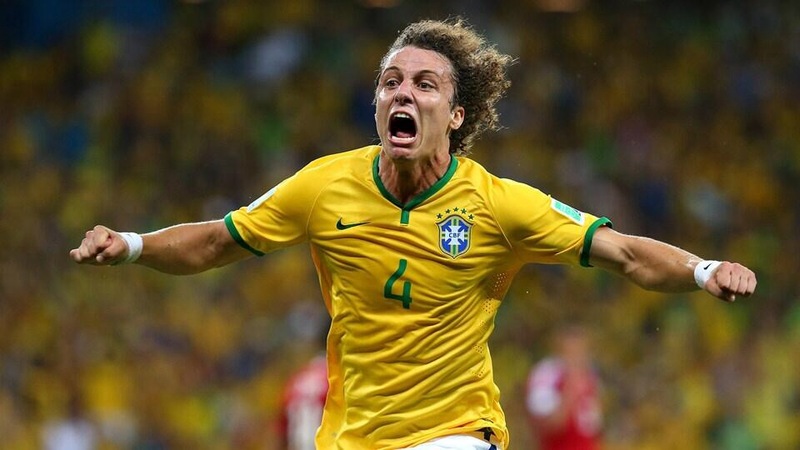 During the 2014 World Cup Brazil played its 100th World Cup finals’ game. 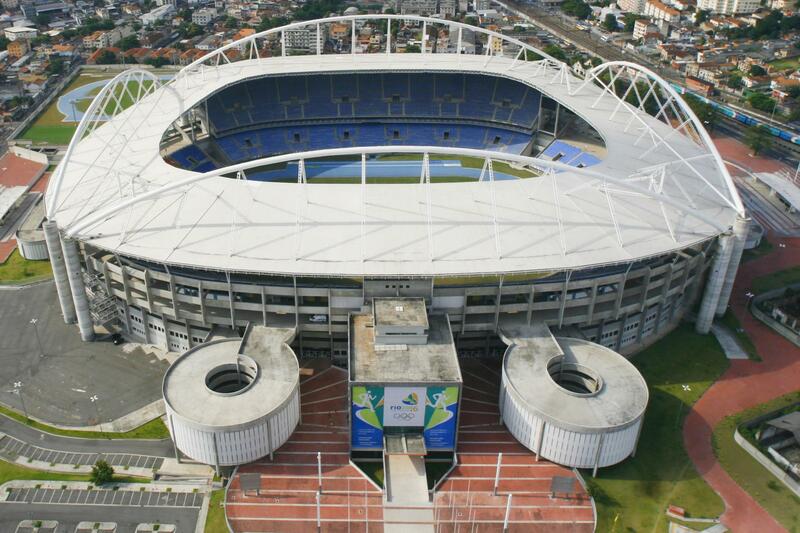 The 100th game was played in Brasilia on Monday, 23 June against Cameroon. A match which moved Brazil into the last sixteen of the tournament. By the end of the 2018 World Cup Brazil had played 109 games over twenty one World Cup finals, winning 74, drawing 17 and suffering 18 defeats. In the process the team has scored 229 goals and let in 105, nearly 10% of those in their loss to Germany and the Netherlands in the 2014 semi-final and third and fourth place play off. The only team to play the same numer of World Cup finals games as Brazil, is Germany, which has also played 109 games. The other countries making up the top five are Italy with 83 games, Argentina with 81 and England with 69. France, winners in 2018, have played 66 games. Pelé could have a World Cup record book all to himself. As well as being the only player to win three World Cups, he is also the youngest goal scorer; youngest hat-trick scorer; youngest scorer in the final (and youngest player in the final); is responsible for the most goals scored in all finals; and has played in the most tournaments when scoring at least one goal. On the international stage, the Olympic gold medal for football remained until the 2016 Olymipcs the only major soccer title never to be won by Brazil, having lost in three men’s finals and two women’s finals, the most recent being the men losing to Mexico at Wembley during the London Olympics in 2012. 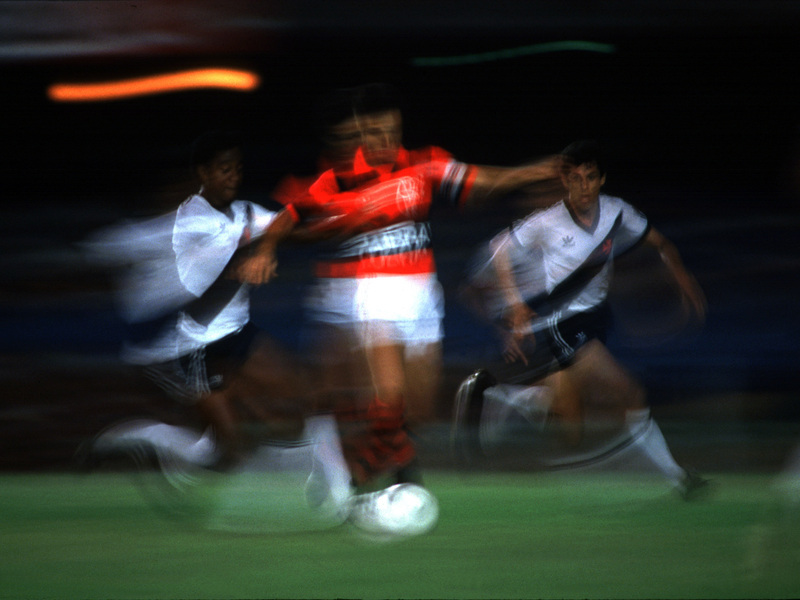 São Paulo, not Rio, is home to one of the world’s most modern and complete soccer museums. Located in the Pacaembu Stadium, which when built in 1940 was the largest and most modern in South America, the Museu do Futebol is located appropriately enough in Praça Charles Miller, named after the British man who introduced football to Brazil in 1894. Rio, however, is home to the Brazilian Football Confederation‘s (CBF) own museum that celelbrates the national team and is located in Barra da Tijuca at Av. Luis Carlos Prestes, 130 and is open daily from 10 am to 6pm. The visit begins in a reception area where two large interactive panels show the history of the CBF. Then, in the auditorium, there is a moving audiovisual presentation dedicated to Brazilian football. The first section shows the origins of the Brazilian team, the seleção. The following areas comprise a large multimedia table, showing the complete history of the team, and the trophy room, with a collection celebrating more than 200 wins, as well as state-of-the-art screens and large format audiovisuals. The visit continues with an area dedicated to Brazil’s five World Cups wins and the players.